This is to inform the general public that the University of Lagos (UNILAG) Institute of Continuing Education (ICE) 2016/2017 academic session admission exercise is on. The Institute of Continuing Education in collaboration with the Faculties of Arts and Social Sciences is inviting applications from suitably qualified candidates for admission into it various programmes for the 2016/2017 academic session. 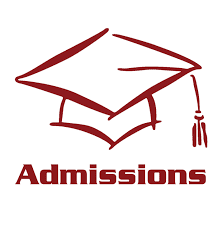 Application forms are obtainable online via University of Lagos website URL. http://www.unilag.edu.ng.using ATM/Cash/Dedicated Teller obtainable on payment of a non-refundable fee of Fifteen Thousand Naira (N15, 000.00) only paid into any Bank within the campus using Treasury Single Account (TSA) via Remita Platform. Completed application forms should be submitted online and a hard copy of the completed forms should be submitted to the Programme Faculty.